This stylish two-fer is a great buy. If the lace pieces were sold separately, the laces pieces would go for about $90. Since they came in together, I decided to leave them together. 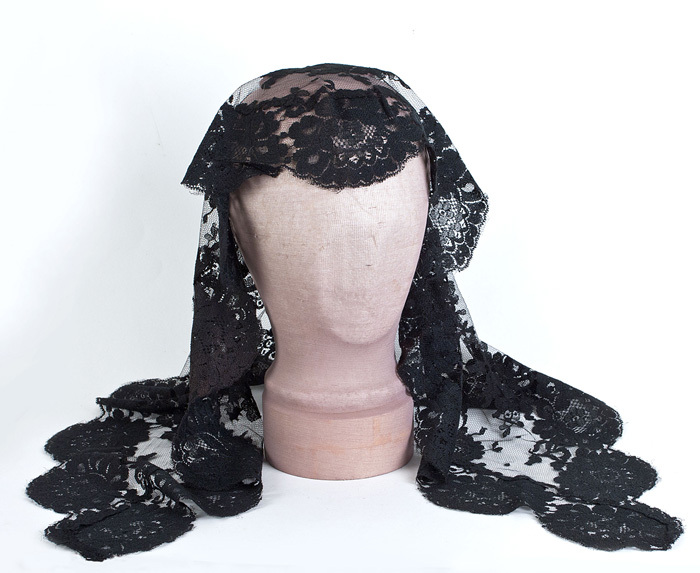 The lace mantilla, or chapel veil, has a lovely soft drape. 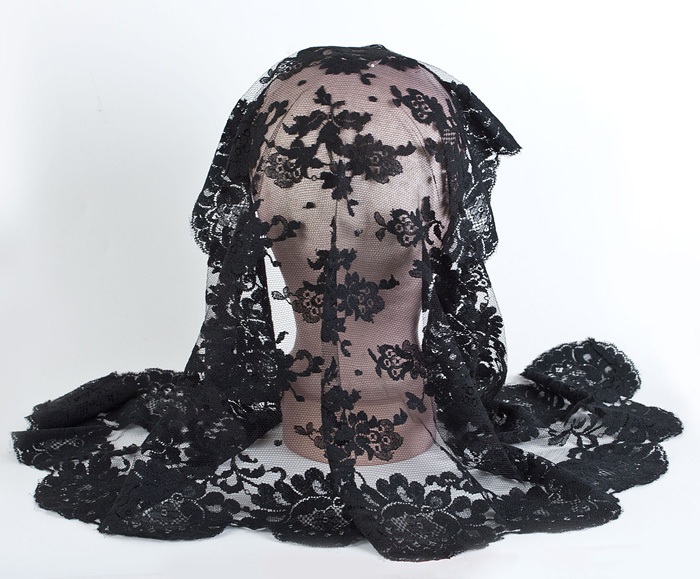 It beautifully frames the face with the centuries old mystique of black lace. The scarf, which is somewhat stiffer, can be used as a head covering or as a table scarf. 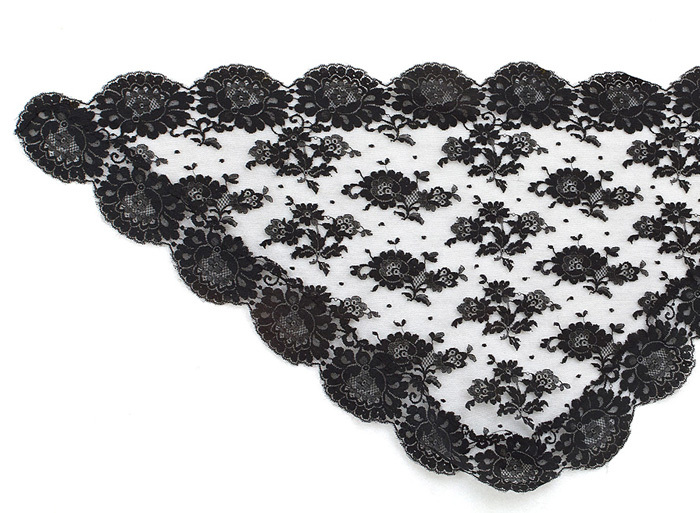 The triangular mantilla measures 21" wide at the center and 42" from end to end. The scarf measures 23" wide by 46" long.